Seeing as the game isn't arriving until August 27th, it's going to be a while before we see the Control achievements list. However we have discovered the pre-order price and content details for Remedy's ambitious action-adventure, which you can look at directly below. 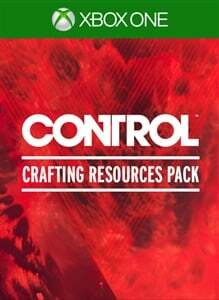 Pre-order Control now to receive: - The Tactical Response Gear Crafting Resources Pack After a secretive agency in New York is invaded by an otherworldly threat, you become the new Director struggling to regain Control. From developer Remedy Entertainment, this supernatural 3rd person action-adventure will challenge you to master the combination of supernatural abilities, modifiable loadouts and reactive environments while fighting through a deep and unpredictable world. Control is Jesse Faden’s story and her personal search for answers as she grows into the role of the Director. The world of Control has its own story, as do the allies Jesse meets along the way. Jesse works with other Bureau agents and discovers strange experiments and secrets. After a secretive agency in New York is invaded by an otherworldly threat, you become the new Director struggling to regain Control. From developer Remedy Entertainment, this supernatural 3rd person action-adventure will challenge you to master the combination of supernatural abilities, modifiable loadouts and reactive environments while fighting through a deep and unpredictable world. 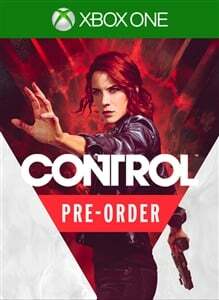 Control will be $59.99 in the US and £44.99 in the UK — check out the price tracker above for more details and your local prices. 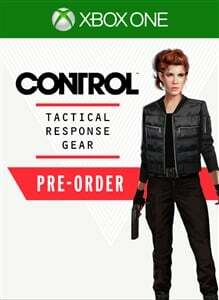 If you pre-order on Xbox One, you will get a Tactical Response Gear costume and some additional crafting resources as you attempt to contain a supernatural threat within a secretive agency. You can check out some of Control's snappy gameplay in a short trailer below, released to announce the game's arrival date. Unfortunately it's not quite as impressive as the PS4 set-up — it seems that since Remedy's exclusivity split with Microsoft, Sony have managed to secure some additional bonuses. PS4 players will get a whole bunch of additional cosmetics and themes, and they will also get earlier access to the two chapters in the game's expansion pass. No dates have been confirmed for those additional chapters as of yet. Control arrives on August 27th, 2019.